Choristoneura pinus - Hodges#3643 (Jack Pine Budworm). 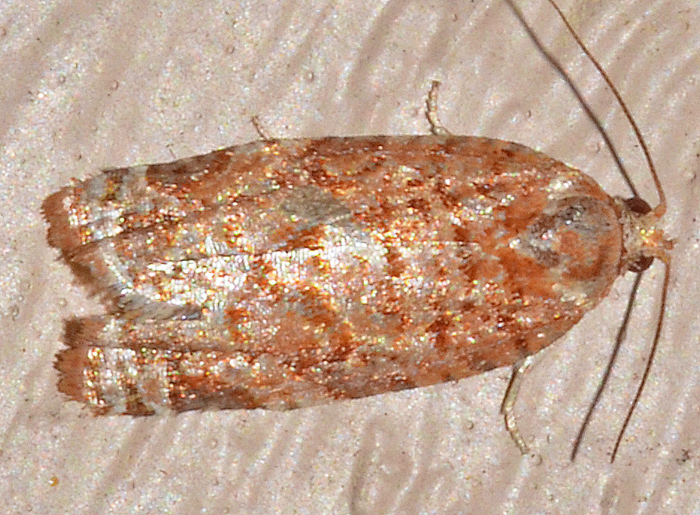 The forewings of this little moth are reddish mottled with irregular silvery or yellowish bands and blotches. It is most common in Canada and adjacent parts of the US but also found its way to Tallahassee. Its usual habitats are groups of Jack Pine and Scots Pine trees.